Due to an overwhelming response from the apple-hungry public, our apple orchard is about done for the season. 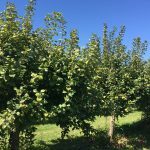 You have to look close to the trunks of the trees to find any apples now. 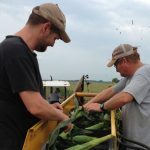 Many of our late varieties didn’t produce much because they are biennial (every other year is a big yield). 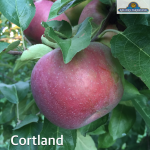 We have pre-picked apples from Michigan at all of our locations. Yes, that includes Honeycrisp! The Great Pumpkin Run was a blast! 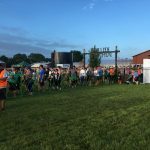 Thousands of runners came out to our farm for The Great Pumpkin Run 5K walk/run yesterday. It was a great time! Check back soon for race day photos on this website! 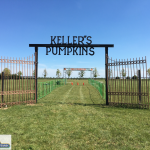 The Great Pumpkin Run 5K is tomorrow at our Oswego farm! We are expecting large crowds so please arrive early and carpool if you can. Rain is expected tonight so be prepared for a little mud here and there. The signup deadline is midnight! Click here to register. 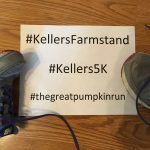 The Great Pumpkin Run 5K is this Saturday! 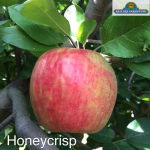 Don’t wait to pick Honeycrisp! 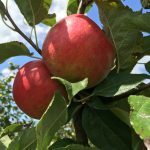 Our Honeycrisp apples are almost picked over! Don’t panic! 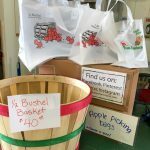 Just get over to our Oswego apple orchard and do your apple picking today! We should have enough Honeycrisp until the end of the day. After today, you’ll really have to search. We still have Galas. Jonathans became available today. We’re open until 5pm on weekends, 6pm on weekdays. 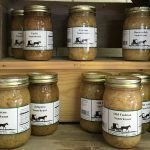 Honeycrisp Apples are finally ready!